US Army Sgt. 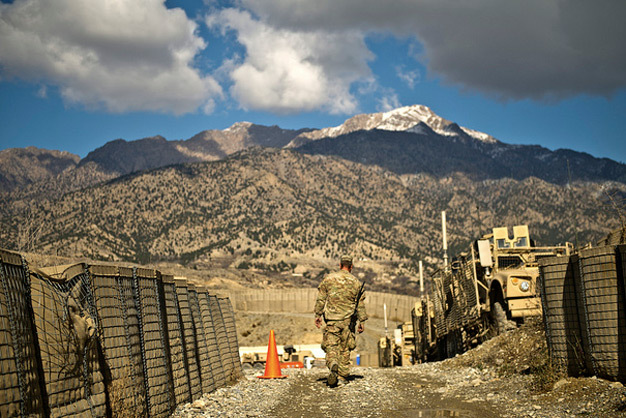 Barry Dilley from the Oklahoma National Guard, walks down a path at a combat outpost in Afghanistan November 28, 2011. US Air Force photo by Staff Sgt. David Salanitri.